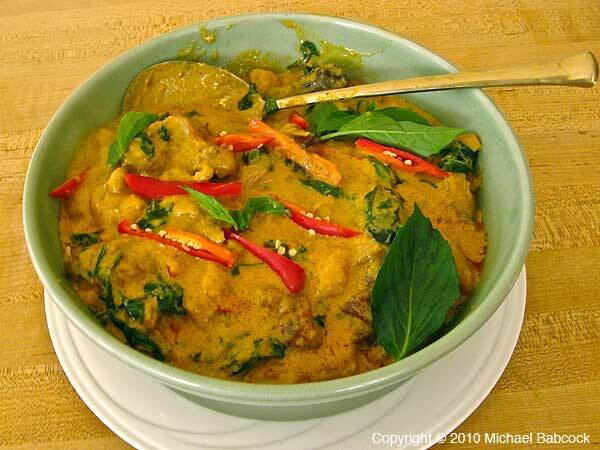 See Kasma's Blog Thai Thanksgiving Dish. 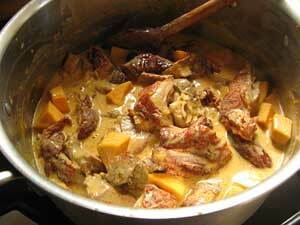 Kasma does not teach this dish in any of her classes. *Because the Thai language has its own script, there are different ways of transliterating Thai into English. The more phonetic version is ; the more usual spelling is Kaeng Phed Ped Yang. See A Note on Thai Pronunciation and Spelling.